There's something about the Japanese bread crumbs that makes anything coated in bread crumbs more special than it usually is. The shard-like panko is light yet packs on serious crunch. It doesn't absorb much oil and stays crispy for a long time. 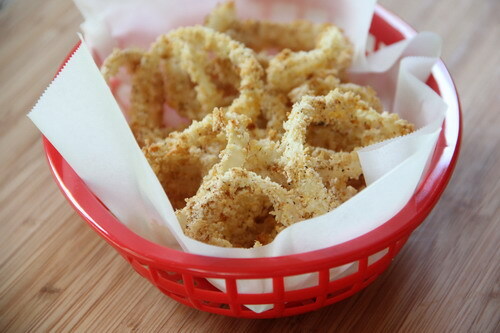 Visit Baked by Rachel to find out how to make Baked Panko Onion Rings.